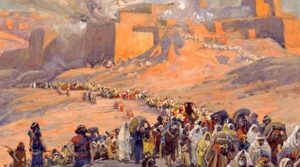 ‘The Flight of the Prisoners’ by James Tissot, depicting the Jewish people’s exile after the destruction of the First Temple. This Sunday marks the start of the “Three Weeks” between the fast days of the seventeenth of Tamuz and the ninth of Av. 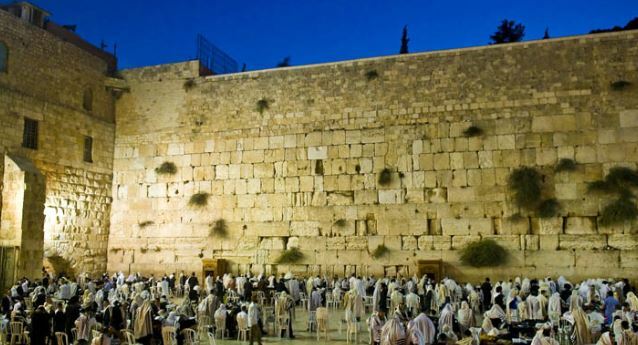 The Talmud describes five tragedies that happened on each of these fast days, culminating with the destruction of both Holy Temples in Jerusalem on Tisha b’Av. Over the centuries, many customs have emerged with regards to this time bein hameitzarim, “between the straits”. Today, it has essentially become a three-week mourning period—even though the Talmud and other early texts say nothing about it. Furthermore, many have come to believe that this is an “unlucky” or “dangerous” time for the Jewish people, and thus abstain from various activities. What is the origin of these customs and how should they be followed? With the beginning of [the month of] Av, rejoicing is curtailed. During the week in which the ninth of Av falls, it is forbidden to cut hair and to wash clothes, but on Thursday it is permissible in honour of the Sabbath. On the eve of the ninth of Av, one may not partake of a meal of two courses, nor eat meat, nor drink wine. …it is forbidden to cut the hair and to wash clothes from the beginning of the month until after the fast—this is the opinion of Rabbi Meir. Rabbi Yehudah says: It is forbidden the whole month. Rabban Shimon ben Gamaliel says: It is forbidden only on that particular week. 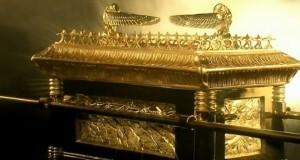 … Rava said: The halachah is according to Rabban Shimon ben Gamaliel. And Rava further said: The halachah is according to Rabbi Meir. And both decisions are in favour of the more lenient practice, and both are needed [to be stated]. For had it only been stated that the halachah is according to Rabbi Meir, I might have said that the restriction is in force from the beginning of the month, therefore it is also clearly stated that the halachah is according to Rabban Shimon ben Gamaliel. And had it only been stated that the halachah is according to Rabban Shimon ben Gamaliel, I would have said that the restriction continues even on the days after [Tisha b’Av], therefore it is clearly stated that the halachah is according to Rabbi Meir. There were three schools of thought in those days: Rabbi Meir held that we mourn from the start of Av until the fast; Rabban Shimon that we only mourn during the week of Tisha b’Av itself; and Rabbi Yehudah was the most stringent, holding that the entire month of Av is mournful. The halacha originally favoured Rabban Shimon, however this presented an ambiguity: If we are meant to mourn in the week of Tisha b’Av, does that mean we must continue to mourn for the remainder of the week after the fast is over? To clarify, Rava combines the view of Rabban Shimon and Rabbi Meir, and concludes that we mourn until the fast, and not after. For this reason, today’s custom is to intensify the mourning practices in the week of Tisha b’Av itself. Rav Yehudah said: This restriction applies to any time after midday, but not to any time before midday. Rav Yehudah further said: It applies only to the concluding meal [before the fast] but not to any other meal… One who has a meal on the eve of Tisha b’Av with the intention to have another meal [later], he may eat meat and drink wine; but if not, he may not eat meat nor drink wine. The Talmud later clarifies that salted meat and new wine is always permitted. It is only fresh meat and the finer, aged wine that shouldn’t be consumed! Despite this, many Jewish communities became more and more stringent over the centuries, and took upon themselves to avoid all meat and wine from the start of the month. Rav Ovadia Yosef held that since it is already an ancient custom, it should be continued. Interestingly, the Yemenite Jews had no such custom, and only abstained from meat and wine in that final meal before the fast, as the Talmud requires. Nonetheless, Rav Ovadia encouraged them to take on the more stringent custom, especially because now they were living in Israel where destruction of the Temple is felt more pressingly. At the meal intended to be the concluding one before Tisha b’Av, it is forbidden to eat meat or to drink wine, or to bathe after the meal. At the meal which is not intended to be a concluding meal prior to Tisha b’Av, it is permissible to eat meat and to drink wine, but not to bathe. Rabbi Ishmael bar Yose said in the name of his father: So long as it is permissible to eat meat it is also permissible to bathe. The Talmud at first suggests that bathing may be one of those things one shouldn’t do the week of Tisha b’Av. Rabbi Ishmael comes to conclude that as long as eating meat is allowed, so is bathing. Thus, from a Talmudic perspective alone, bathing is permitted right up until the final meal of Tisha b’Av. 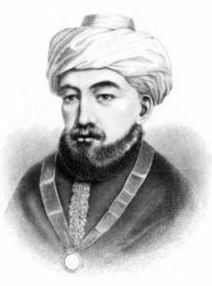 In the 12th century, the Rambam (Rabbi Moshe ben Maimon, 1135-1204) produced his monumental Mishneh Torah, the first complete, comprehensive, and conclusive Jewish book of laws. While many more law books have been laid out since then, the Mishneh Torah is often seen as the gold standard. Some hold that it is the greatest law code in Judaism (with the Rambam regularly compared to Moses himself), and many today consider themselves “Rambamists” that strictly follow the dictates of the Mishneh Torah. When the month of Av enters, we reduce our joy. During the week of Tisha b’Av, it is forbidden to cut one’s hair, to do laundry, or to wear a pressed garment—even one of linen—until after the fast. It has already been accepted as a Jewish custom not to eat meat or enter a bathhouse during this week until after the fast… One should not eat meat or drink wine at the meal before the fast. One may, however, drink grape juice that has not been left [to ferment] for three days. One may eat salted meat that was slaughtered more than three days previously. One should not eat two cooked dishes. When does the above apply? When one ate in the afternoon on the day preceding Tisha b’Av. If, however, one eats a meal before noon, although this is the last meal one eats before the fast, one may eat all that one desires. When the day before Tisha b’Av falls on the Sabbath, one may eat and drink to the full extent of one’s needs, and one may serve even a meal resembling Solomon’s feasts at one’s table. Similarly, when Tisha b’Av falls on the Sabbath, one need not withhold anything at all. If that’s the case, how did we go from minimal mourning in the time of the Talmud—and even in the time of the Rambam just 800 years ago—to today’s extensive three week period? On Tisha b’Av it is customary to read Megillat Eichah, the Book of Lamentations. This is the prophet Jeremiah’s gruesome account of Jerusalem’s destruction. Jeremiah writes: “Judah went into exile because of affliction and great servitude; she settled among the nations, [and] found no rest; all her pursuers overtook her bein hameitzarim [between the straits].” (Lamentations 1:3) Rashi cites two meanings for the term “between the straits” or “between the boundaries”. The simple meaning is that it refers to the borders of the Jewish people’s former farms and vineyards which have been destroyed. He then cites the Midrash by stating that “between the straits” also refers to the three week period between the seventeenth of Tamuz and Tisha b’Av. Going directly to the source, the Midrash (Eichah Rabbah 1:29) suggests that “her pursuers overtook her bein hameitzarim” means that there is an evil spirit that is particularly strong during the Three Weeks, and has the power to pursue and hurt the Jewish people. The Midrash calls this evil spirit Ketev Meriri (קֶטֶב מְרִירִי), which is mentioned just a single time in the Torah (Deuteronomy 32:24), in parashat Ha’azinu: “The wasting of hunger, and the devouring of the fiery bolt, and Ketev Meriri; and the teeth of beasts will I send upon them, with the venom of crawling things of the dust.” Although usually translated as “bitter destruction”, or a “plague”, or “bad vapour”, some hold that Ketev Meriri is some kind of evil entity or demon out to hurt the Jewish people. 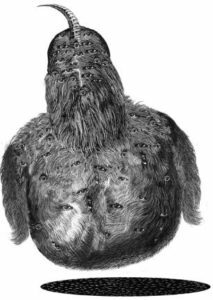 The Midrash in question says it is a demon entirely covered with eyes and hair, and anyone who looks upon it immediately dies. While it is allowed to roam free during the Three Weeks, it is only active “between the end of the fourth hour and the start of the ninth hour of the day, and it goes neither in the sun nor in the shade, but right along the border between a sunny and shaded area.” So, this Ketev Meriri is only found for several hours in the day during the Three Weeks, and can only cause damage if a person is standing or walking, alone, right between a sunny and shaded area! This sounds like silly superstition, which is precisely why the Rambam rejects it outright. Nonetheless, it is mentioned in the Shulchan Arukh (Orach Chaim, 551:18), which warns to beware of Ketev Meriri during the Three Weeks, between the fourth and ninth hour of the day. 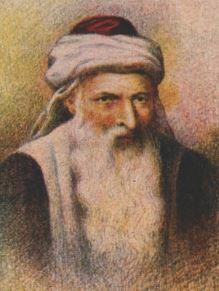 It is important to remember that the Shulchan Arukh was composed by Rabbi Yosef Karo (“Maran”, 1488-1575), one of the great Tzfat Kabbalists. 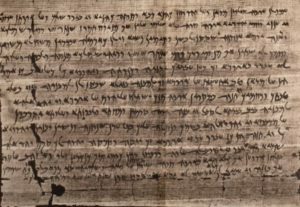 Although some believe that he, too, sought to keep his updated law code free of Kabbalah, one who reads the Shulchan Arukh will undoubtedly see how thoroughly mystical concepts and practices permeate it. This is one key difference between the Rambam’s Mishneh Torah and Maran’s Shulchan Arukh. Of course, the latter went on to become the authoritative law code of Judaism. It therefore isn’t surprising that a great deal of (superstitious) fear developed among Jews, worrying that something horrible will happen. Over time, it became customary to avoid going swimming, partaking in any kind of “risky” activity, or even flying in an airplane. Under such conditions, it is only natural that the entire Three Week period became one of pretty intense mourning. Yet, even the Shulchan Arukh does not speak of such intense mourning. It, too, begins by speaking of mourning from the start of Av. And it is only in the week in which Tisha b’Av itself falls that haircuts and laundry are prohibited (Orach Chaim, 551:3). The same is true for consuming meat and wine, although Maran mentions other customs to abstain from meat and wine from Rosh Chodesh, or even from the seventeenth of Tamuz. He concludes that one who eats meat when his community does not is a sinner and will be—to borrow a Talmudic term—“bitten by a snake” (if he wasn’t already scared enough from Ketev Meriri). The Shulchan Arukh also lists two different customs for bathing: some abstain from Rosh Chodesh, and others only in the week of Tisha b’Av. And then we are told that some fast every single day during the Three Weeks! (551:16) We see how unlike the Rambam’s Mishneh Torah, which is clear as to precisely how a Jew should act, the Shulchan Arukh lists numerous customs without a clear indication which is best. This is another critical difference between the two law codes. To conclude, if one wants to observe the mourning period strictly as mandated by the Talmud, Mishneh Torah, and even the Shulchan Arukh, one need only abstain from music and festivities from the start of Av, and abstain from bathing, cutting hair, and laundering in the week of Tisha b’Av itself. With regards to meat and wine, although the letter of the law is only to abstain in the last meal before the fast, there is support for abstaining the entire week of Tisha b’Av, and the Shulchan Arukh holds that a person should not deviate from whatever is their local custom. On the note of bathing and cutting hair or shaving, it is important to remember how great the honour of Shabbat is: While mourning may be an important custom, looking presentable and dignified on Shabbat is actually an halachic requirement. The Talmud makes it clear that one must bathe and cut their hair for Shabbat—even on a Thursday immediately preceding a Tisha b’Av which falls on a Friday. (This is technically not possible in our fixed calendar, but was possible in those days). The Sephardic custom reflects this halachic necessity, while the Ashkenazi custom strangely does not. Rav David Bar-Hayim, despite being of Ashkenazi background himself, holds that the Ashkenazi custom of abstaining from haircuts for the entire Three Weeks—which he traces to about 600 years ago—is plainly wrong and contrary to halacha. Finally, there is no need to fear of calamities during the Three Weeks, unless one conducts themselves according to Kabbalah, in which case they may need to beware of Ketev Meriri between the fourth and ninth hour of the day, especially if walking alone between sunny and shaded areas. This entry was posted in Holidays, Jewish Law & Life Cycle and tagged 17 Tammuz, Bein HaMeitzarim, Customs, Ha'azinu, Jeremiah, Ketev Meriri, Lamentations, Meat, Midrash Rabbah, Mishneh Torah, Mourning, Prohibitions, Rabban Shimon ben Gamaliel, Rabbi Meir, Rabbi Yehuda, Rabbi Yehudah HaNasi, Rabbi Yosef Karo, Rambam, Rashi, Rav David Bar-Hayim, Rav Ovadia Yosef, Shabbat, Shaving, Shulchan Arukh, Superstition, Ta'anit (Tractate), Three Weeks, Tisha B'Av on June 26, 2018 by Efraim Palvanov.